The Easy Rider in 2012. Courtesy of Skipper Magazine. At about 2000 on 14 March 2012, the fishing vessel Easy Rider departed Bluff for Big South Cape Island off the west coast of Stewart Island. The skipper, 2 crew members and 6 passengers were on board. The passengers were to be offloaded at Big South Cape Island, where they were to prepare for the upcoming muttonbird harvest. The skipper intended then to travel to his fishing grounds to engage in commercial fishing. The weather at the time that the vessel sailed was described by local fishermen as poor. It was forecast to deteriorate further as a frontal weather system passed across the Foveaux Strait area. The wind was forecast to increase to about 40-50 knots from the northwest before easing to 15 knots from the southwest after the weather front had passed. 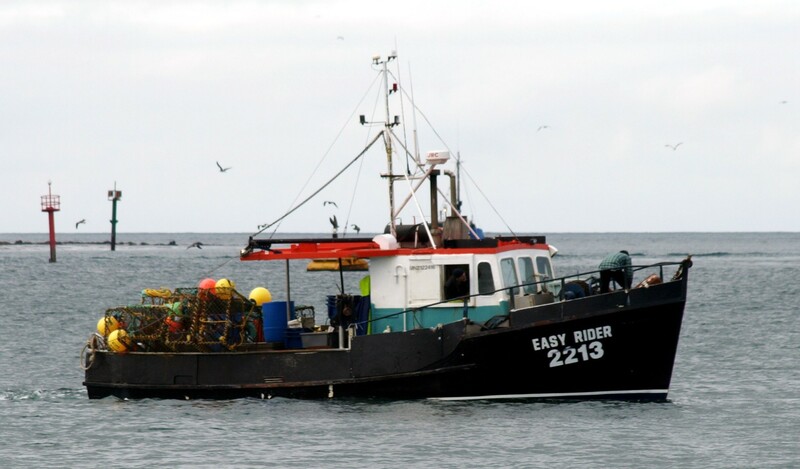 During 14 March the skipper loaded the Easy Rider with ice and bait in the fish hold and loaded cod and crayfish pots and other associated fishing gear on the deck. The skipper then loaded stores, equipment and personal effects for the "muttonbirders". The stores and equipment covered most of the aft fishing deck and in places were stacked as high as the roof of the wheelhouse. At about 0003 on 15 March the Easy Rider was somewhere in the area of the Bishop and Clerks Islands at the western end of Foveaux Strait in an area known for strong, variable currents and turbulent water. The Easy Rider was engulfed by a large wave in this area and capsized, remaining afloat for about 2 hours before sinking. The only survivor was one crew member, who had been sitting out on deck at the time. He described the wave swamping the deck and the vessel heeling violently to port and capsizing. Four bodies were recovered and 4 are still missing, declared drowned. The Transport Accident Investigation Commission (Commission) made findings that the Easy Rider was loaded with too much weight, too high in the vessel, resulting in it having insufficient reserve stability for the intended voyage. The skipper did not have the required maritime qualification to be in charge of the Easy Rider when it was operating as a commercial fishing vessel, and he did not have a sound knowledge of his vessel's stability. The skipper intended to go fishing after dropping off his passengers and their equipment. Therefore, the Easy Rider was operating as a commercial fishing vessel and should not have been carrying the 6 passengers and their equipment on the accident trip to the Titi Islands. There was not sufficient life-saving equipment for the number of people on board, including as few as 4 approved lifejackets to share between 9 persons. In the early years, when the "Owenga" class vessels were built, surveyors realised that the vessels had limited reserves of stability. This information appears to have been lost over time with successive changes in ownership and with changes in maritime administration. The Commission made recommendations to the Director of Maritime New Zealand to alert owners of existing vessels built to the "Owenga" design of these stability issues, and that he address issues around the retention and disposal of important maritime records. - individuals and entities, including companies and directors, that own and operate commercial vessels must ensure that they fully understand and comply with all legal requirements arising from this ownership and operation.